Max from the Maurice Sendak book and some of his wild friends. A wonderful carving and extremely well painted. 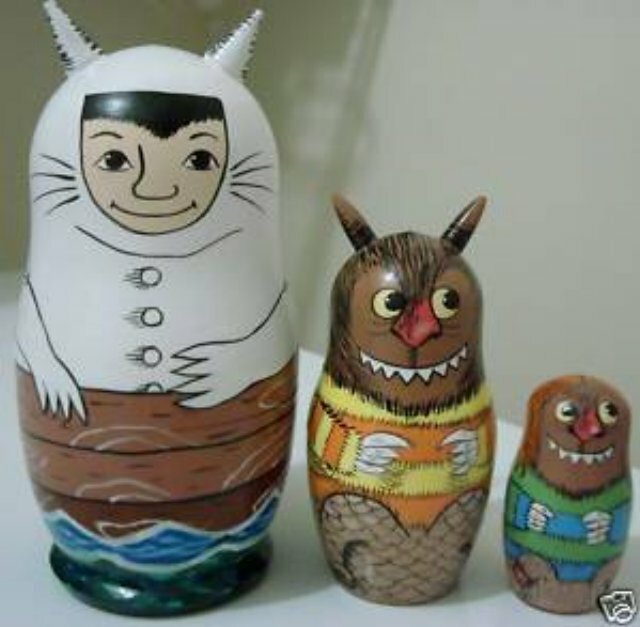 This 3 piece nesting doll is signed by the artist who is well trained in Russian icon painting. The superb quality speaks for itself. This is a really fantastic nesting doll and very well painted. It measures approximately 6 inches tall. This traditional Russian doll is painted with great care and attention to each brush stroke, with amazing detail.